In Pennsylvania, the majority of school districts pay all their teachers more than $45,000 a year. So those districts wouldn’t receive any money under Democratic Gov. Tom Wolf’s proposal to make $45,000 the minimum salary for teachers. At the top of the list? Conemaugh Valley School District in Cambria County. That district would receive a little over $693,000 specifically for salary increases, according to a database provided by the Wolf administration. In Conemaugh Valley, the average classroom teacher earned less than $41,000 last year, according to Pennsylvania Department of Education records. Shane Hazenstab, the superintendent of the Conemaugh Valley School District, said the change would have a significant impact on his district and boost the salary for new teachers by $17,000. That “would obviously impact teacher morale” and “likely would lessen our teacher turnover,” Hazenstab said in a written response. But he raised some concerns and questions. Will the increases be sustainable? Wolf has pledged that the state would pick up the costs, but how much money to send to schools and what exactly the money should cover is a yearly debate in Harrisburg. And can the district afford increased costs that come with higher salaries? When salaries increase, the costs that the district has to pay for retirement contributions and the Social Security tax also increase, Hazenstab said. So for every $1 dollar that salaries increase, an additional 43 cents has to be paid, he said. What will be the impact on support staff with lower salaries? And how will the community respond to the concept? The median income for a household — not just one person — in the district is $45,478 a year, according to U.S. census data cited by the Pennsylvania Department of Education. Most of the other school districts in Cambria County would also receive money for salary increases under the proposal Wolf unveiled Tuesday. The money specifically for salary increases was one part of his plan to increase education funding across the state, and he highlighted the measure during his budget address. 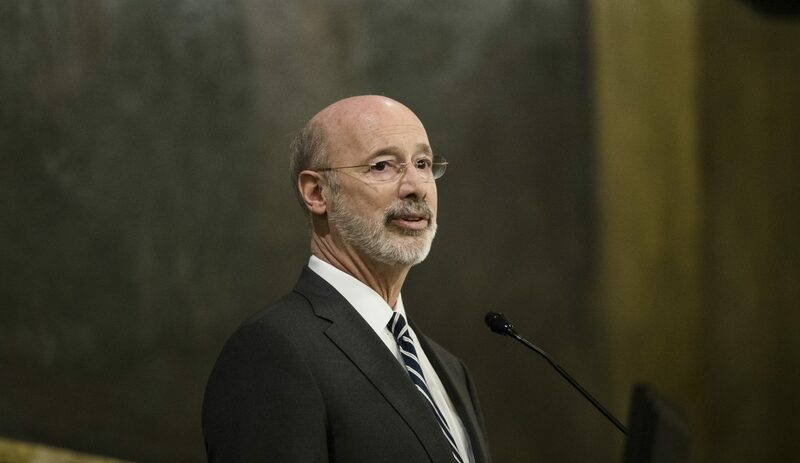 “Most districts that cannot afford to pay their teachers more are located in the heart of rural Pennsylvania,” Wolf said. Overall, the Wolf administration estimates it would cost about $13.8 million to raise all public school district salaries to at least $45,000. Conemaugh Valley is one of 14 districts that would receive $250,000 or more for salaries. Under state law, the minimum salary for teachers is $18,500 a year, according to the Wolf administration. The Pennsylvania State Education Association, the state’s largest teachers union, supports Wolf’s proposed salary increases. In the database below, you can see which school districts would receive the most money specifically for salary increases. You can also see how much money every school district in the state would receive for basic education funding — the largest source of state revenue for schools — under Wolf’s proposal. You can also filter and sort results based on the school district, county and funding level for salary increases. Note: Money for salary increases is part of the total money districts would receive for basic education funding increases under Wolf’s budget. Figures are from the Wolf administration.